Not long after baby’s birth, you’re likely to see thick, crusty and yellowish scales in patches on baby’s head. 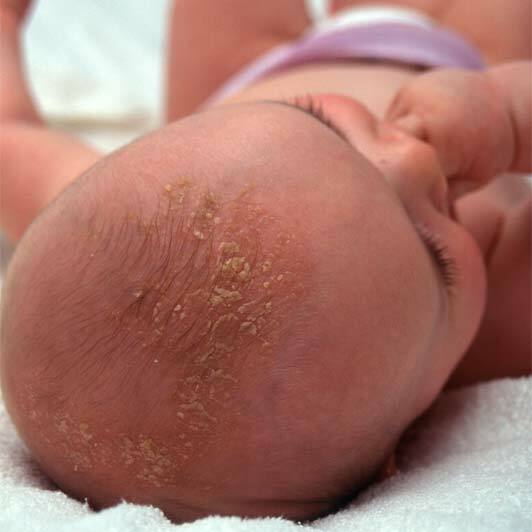 These stubborn little scales are commonly called cradle cap (seborrheic dermatitis). What you’re seeing across baby’s scalp (and maybe even parts of his face) is a buildup of body oils and old skin. Most often, cradle cap appears on a baby’s head, but it can also spread to other parts of baby’s body, such as his ears, eyelids, nose or groin—although this isn’t as common. 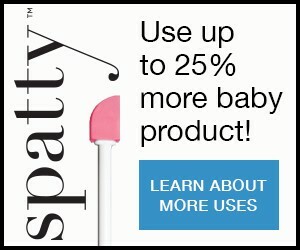 Fact is cradle cap can pop up anywhere baby has oil-producing sebaceous glands, such as under his arms. But don’t worry; even if it appears to be slightly reddish around the patches, it doesn’t hurt or itch, and it usually clears up within the first few weeks or months of life. Just be gentle as you work to loosen the scales over time so that you don’t irritate baby’s sensitive skin.